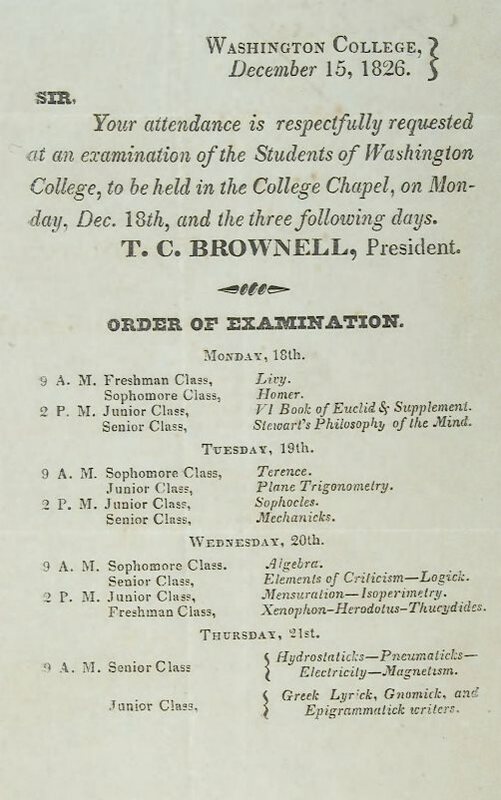 In the spring of 1823, Connecticut opened Washington College in downtown Hartford and the Reverend Thomas Brownell served as its principal founder and first president. 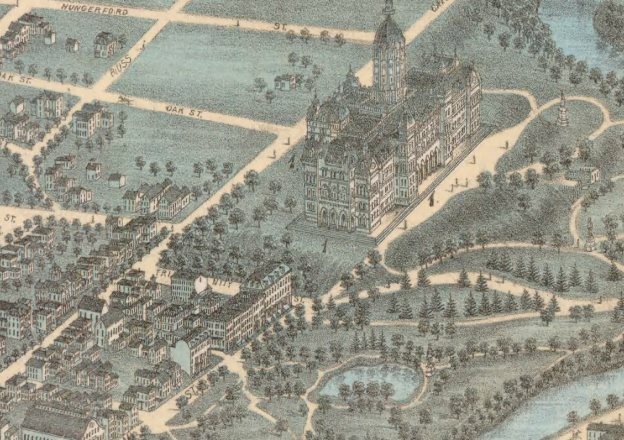 The college began with fewer than a dozen students and the first campus consisted of just two buildings: the first contained a chapel, library, and lecture halls, and the second served as a dormitory. Within a short time, enrollment grew to over 100 students, however, and the school quickly became an important part of the Greater Hartford community. In 1845 administrators changed its name to Trinity College. By the start of the 20th century, Trinity’s appeal increasingly attracted new students from outside the Hartford area. The new century also brought new ways of thinking and the curricula expanded to include areas of study such as biology and other natural sciences. In 1968, the Trinity College trustees withdrew from the Association of Episcopal Colleges and the following year the college became coeducational, admitting its first class of female students. Today, Trinity College is affectionately referred to as a “Mini-Ivy” by locals and continues to serve the Hartford community in many ways far beyond academics. Located in a highly dense urban community, the college is part of the Southside Institutions Neighborhood Alliance and partners with the Learning Corridor, the Institute of Living, and Hartford Hospital to create affordable housing in the nearby Barry Square and Frog Hollow neighborhoods. The college also created the Trinity College Boys and Girls Club and opens their library, computer center, and sports complex to Hartford residents. 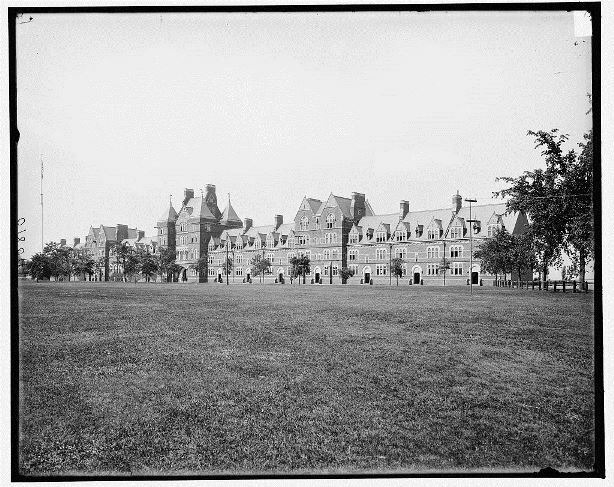 “Catalog Record: Trinity College (Hartford, Conn.) Photograph Collection - 1870-1999.” Trinity College, Watkinson Library, 2016. Link. “Illustration: Old Trinity College Buildings, Trinity Street, Hartford, 1851.” Trinity College, 1851. Connecticut Historical Society and Connecticut History Illustrated. Link. Weaver, Glenn. The History of Trinity College. Hartford, CT: Trinity College Press, 1967. Knapp, Peter J., and Anne H. Knapp. Trinity College in the Twentieth Century: A History. Hartford, CT: Trinity College, 2000. Lockwood, Theodore D. Trinity College; 150 Years of Quality Education. New York, NY: Newcomen Society in North America, 1974.